Appify is a new mobile app UI Kit for creating beautiful mobile apps perfect for ecommerce, news, stories, music and more. 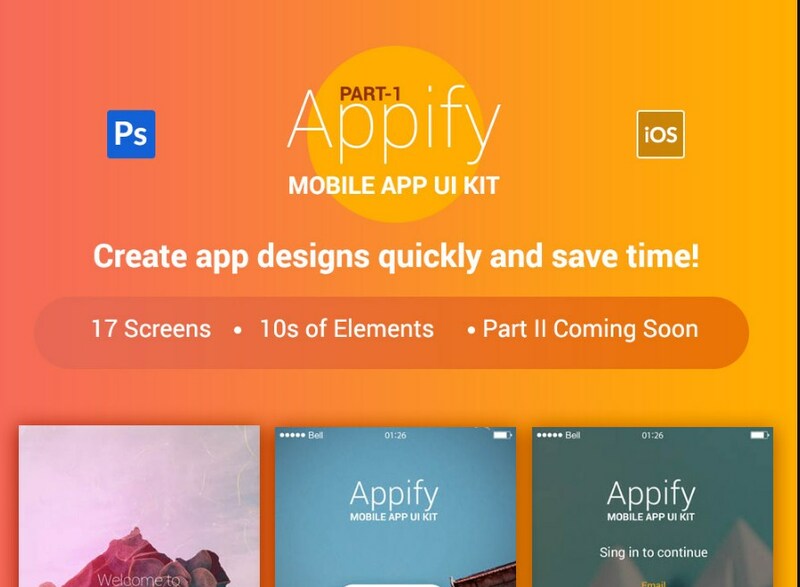 In the first part there are 17 ready-to-use screens and a wide range of elements to get started with your mobile app design. All elements are fully customizable and editable. The UI kit is compatible with Photoshop. The second and final part is coming soon, so stay tuned and keep visiting back.